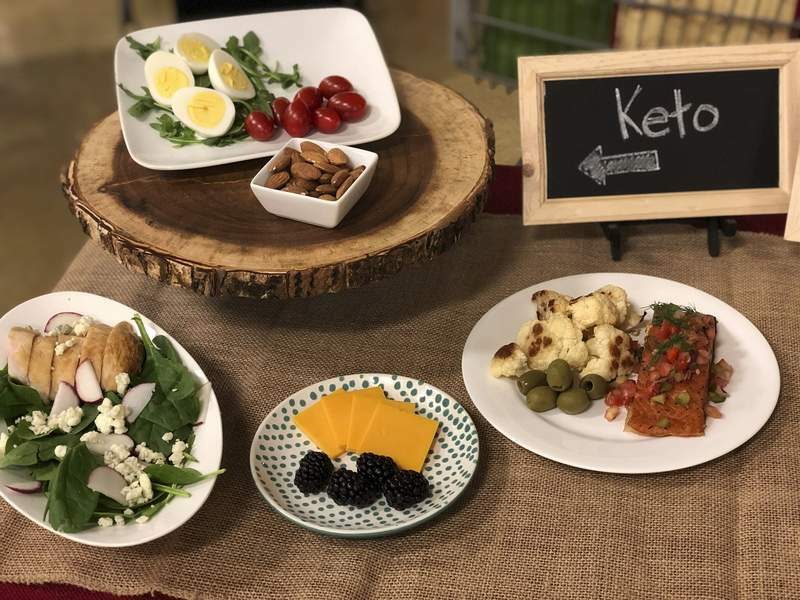 Associated Press Keto diet has become a popular way to lose weight – but with popularity also comes controversy. But as the diet's popularity has increased, so has the controversy surrounding it. A normal diet consists of about 300 grams of carbohydrates every day, but for people on the keto diet, about 20 grams is the limit. The low-carb intake is replaced with a high consumption of fats. It's similar to the Atkins diet, which was popular in the early 2000s. Elizabeth Parks, a professor of nutrition and exercise physiology in the University of Missouri's School of Medicine, said the keto diet is sustainable and the criticism is often misguided. Adam Whaley-Connell, professor of medicine in the division of nephrology and hypertension in the School of Medicine and associate chief of staff at Truman Veterans' Hospital, said while the short-term gains from a ketogenic diet are great for weight loss, the long-term effects can pose increased risks to the heart and kidneys. Six months after the birth of her second child, Breland wasn't happy. As a former college volleyball player, she wasn't used to feeling out of shape. She didn't weigh herself, but she dropped from a size 6 to a 2 or 1 in the first three months, she said. Breland begins her day drinking a ketogenic supplement that suppresses her hunger and helps her body stay in ketosis. She only eats between 1 p.m. and 7:30 p.m. For lunch and dinner, she sticks with leafy greens and meats, like a salad and a hamburger without a bun. It all adds up to about 1,400 calories per day, and she's now focusing on gaining muscle. That's why going on the keto diet under the supervision of a physician is important, he said. But he won't recommend it to his patients and explains that the long-term health risks outweigh the short-term weight loss results. For her patients on low-carb diets, she recommends taking multivitamins, and making sure vitamin C is being replenished. Drinking plenty of water is important, as carbohydrates often supply most of the body's hydration, she said. “Many people ask what the minimum amount of carbs you need a day is, which is controversial, but it's important to realize that your liver can supply the body with energy in other ways when on low-carb,” she said. “The lifestyle isn't for everyone, but for me, it is sustainable long-term,” she said.